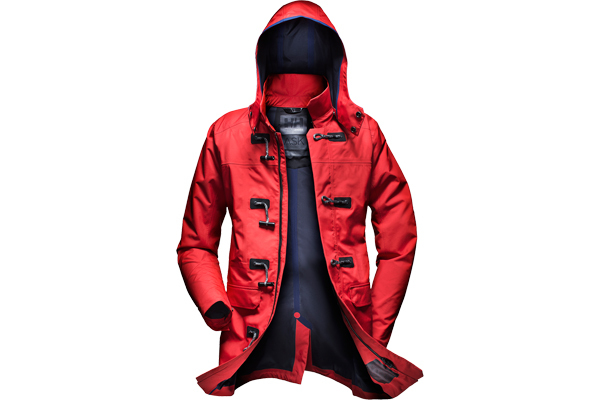 Helly Hansen has created a raincoat in true marine style. Designed as “a tribute to the modern racing yacht”, the Ask Canvas Duffel Coat is made of custom-laminated three-ply canvas and closed with aluminum buttons on Italian Dyneema rope, and equipped with a removable hood. So good-looking you’ll be wishing for a rainstorm. Sold $700.